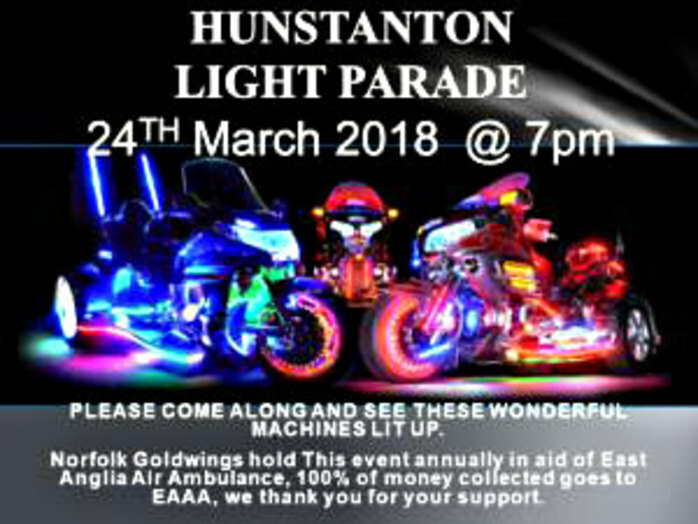 Between noon and 4pm, Norfolk Goldwings will display their Honda Goldwing motorbikes on The Green with some 100 motorbikes attending from all over the UK. They will assemble on the Lower Green by the bandstand and will raise money for East Anglia Air Ambulance. In the evening at 7pm, the bikers' present their spectacular Light Parade around the town at dusk. They will parade around in convoy, with their motorbikes lit up making noise with bells, sirens and hooters.